The owners of the Ukrainian Premier League clubs have supported the proposal of President of FC Shakhtar Donetsk Rinat Akhmetov to financially support the FC Arsenal Kyiv, so that it could continue playing in the current championship of Ukraine. In particular, FC Dnipro Dnipropetrovsk has agreed to replay the failed match with Arsenal, the Vesti Newspaper reported. "The owner of the Arsenal has three days to decide whether they want to play in the national championship or not. The clubs have agreed to give money so that that team could finish the season with the same participants with whom we started. Now, it is for Kyiv's club to decide," Akhmetov said after a meeting of presidents of football clubs, which took place at Olympiysky National Sports Complex on Friday. 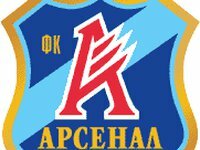 On October 25, FC Arsenal failed to appear for a Ukrainian Championship match with FC Tavriya Simferopol due to lack of funding, and the match was not held. On October 29, 2013, FC did not travel to a Ukrainian Cup match against FC Nyva Ternopil. On November 6, businessman Vadym Rabynovych, who has been president of FC Arsenal since 2007, has offered the team's players to give up their wages and expressed his willingness to finance the club until the end of Ukraine's championship of 2013-2014. On November 7, the Control and Disciplinary Committee of the Football Federation of Ukraine expelled FC Arsenal Kyiv from the 2013–2014 Ukrainian Cup for failing to appear for the match with FC Nyva Ternopil. On November 8, the Ukrainian Premier League announced that Arsenal finally refused to participate in the 2013–2014 Ukrainian Cup. Thus, the Arsenal-Dnipro match scheduled for November 10 did not take place.